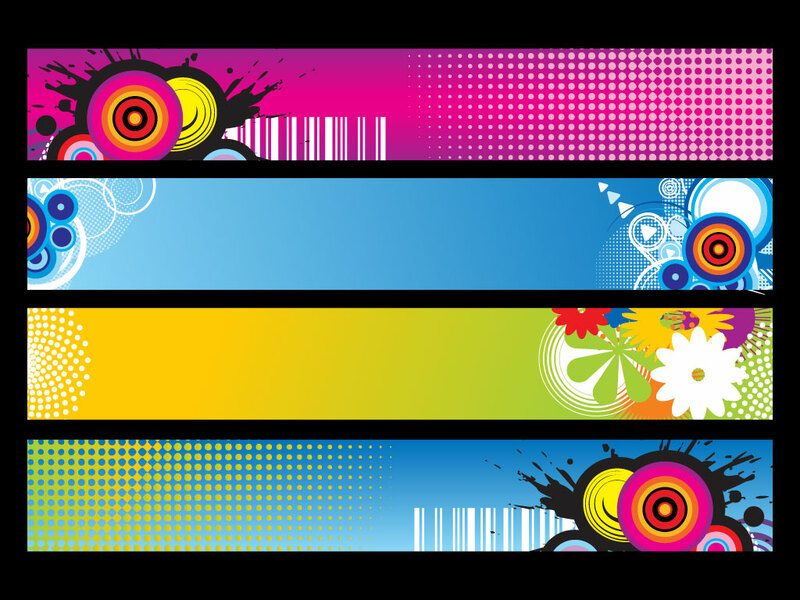 Four cool and modern website banner or header backgrounds to choose from in this vector pack. Bright and colorful designs with halftone dots, arrows, circles, stripes, splatters and flowers. Great time savers for your websites and blogs. Tags: Arrows, Backgrounds, Banners, Circles, Flowers, Headers, Modern.